How would IoT influence the automotive industry? What benefits would the stakeholders, including drivers, transport regulators and society will have from IoT applications. Take a note of all across different spheres. Connectivity between car and mobile is not something new to talk about. Access to infotainment devices and cloud-based entertainment services is something that we have experienced for years. Though innovation has been achieved by enhancing the accessibility. Android Auto and CarPlay respectively from Google and Apple have revolutionized the infotainment system. The innovation has empowered drivers. It’s not just that they can access music but also control the whole features and functionalities of their phone in a hands-free manner over their voice to focus better on the road. Thanks to Siri and Google Now and their built-in voice recognition and speech-to-text capabilities. Thus car-to-mobile connection makes driving a lot more convenient and safer. Vehicle-to-vehicle connectivity is the principle that guides the concept of the driverless car. So smart cars or connected cars will not only take away the hassles of driving but also the risks associated with human errors. Also, the transportation authorities will have fewer challenges in managing traffic because the data collected can be utilized to plan the transport system better. Though the transmission of data or data flow has been eased with the inception of advanced IoT platforms, creating IoT application development and integration demands subtle attention as they need to control vehicles moving with a high speed and minor bottlenecks can lead to the catastrophic situation. IoT is not just about the in-vehicle experience but it goes beyond. Connecting vehicles with the surrounding infrastructure Internet of Things boosts the smart city concept. It’s transforming the urban transport system that is plagued with congestion and road accidents and letting people have better access to amenities (car parking, hotels, etc.) intended. 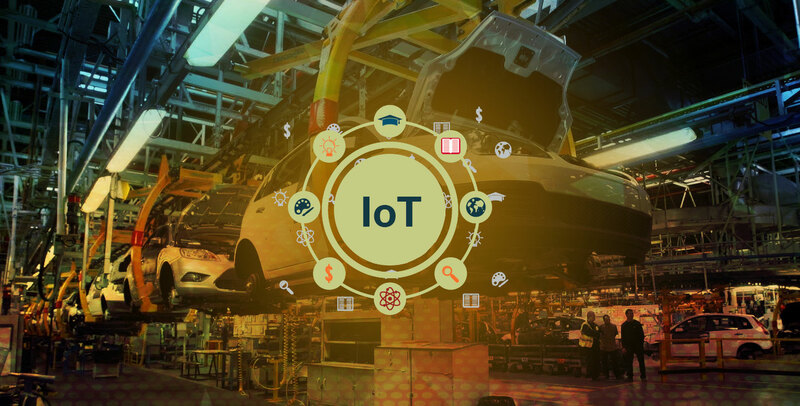 The transformation IoT application development brings to the automotive industry, and the transport infrastructure is significant and appreciable as it directly relates to the safety and convenience of life. However, a prudent and inclusive approach is required. It demands better collaboration between automotive, IoT and AI.